We all know that weather can be unpredictable, especially in Michigan. Freezing one week, and then scorching hot the next. It takes a toll on everything; from our cars to our clothing selection, but one thing many people don’t realize is the mighty toll it could take on their Michigan A/C units! Once the heat hits, you’re going to want to turn that unit on, and who can blame you? You have AC in Michigan for a reason! 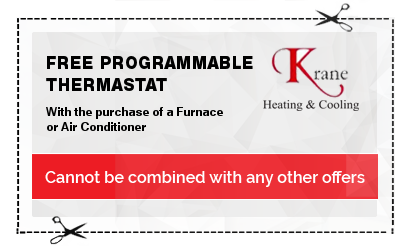 Unfortunately, this can mean erratic and inconsistent air conditioning use, and can cause damage and lapses in the proper function of your AC unit at the most inconvenient times. That’s where our Michigan Air Conditioning Repair Experts can help! 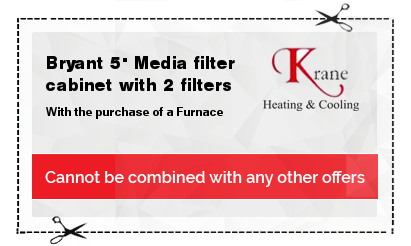 With over 20 years experience, Krane Heating and Cooling is the right choice when it comes to fixing your a/c in Oakland County. We service all makes and models and your satisfaction is guaranteed! When you realize that you need an air conditioning repair in Michigan, it’s likely that many others in your area are also realizing the same thing… at the same time! The weather goes from cold to hot very quickly here in our lake surrounded state, and that’s why many Michigan AC units have problems. The wear and tear of turning your unit on and off during the changing weather can cause problems, but our Michigan cooling repair company can save the day! We know it’s important to keep your home cool when the weather gets hot, and that’s why you can trust our prompt and efficient experts in Michigan AC unit repairs. We work to get your air conditioning back up and running quickly, so that you can relax knowing that the sweltering heat will stay outside where it belongs! 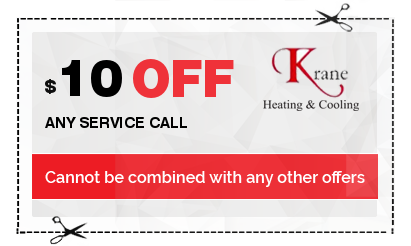 We offer 24 Hour Emergency AC Repair Services, so call us now to get started. We have been providing air conditioning repair services in Michigan since 1991 and strive to keep our reputation for quality services and products. Our Oakland County experts in AC repair can give you the peace of mind you need year round to be confident your home is ready at any time a heat wave hits. 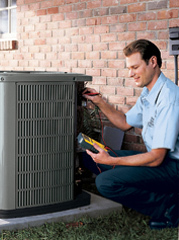 We service all makes and models of air conditioning units! We’ve been serving Oakland County for over 20 years! We are a BBB Accredited Business! Your Satisfaction is Guaranteed! Call 248-365-7620 to speak with one of our air conditioning repair experts today, and we will come right out to fix your air conditioner quickly and affordably!